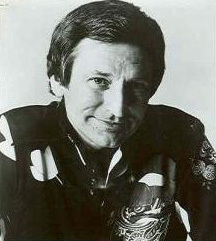 scottish born lonnie donegan, the skiffle artist who died in 2002, similarly to jonah lewy's you'll always find me in the kitchen at parties, is at least partially famous for having had a hit record (his only one across the atlantic) in 1961 with does your chewing gum lose it's flavour (on the bedpost overnight)? this was a modernised version of a song released in 1924 by the happiness boys entitled does spearmint lose its flavor on the bedpost overnight?, changed to chewing gum because spearmint was a registered trademark in the uk. now there's a mine of grammatical observations to be made from the above paragraph, all of which has been quoted verbatim from various sources. firstly, the pedants amongst you will have noticed that, in the lonnie donegan song title, the word it's owns an apostrophe that is grammatically incorrect; in this instance it indicates an abbreviation of the phrase it is which would render the song title even more bizarre than already achieved. this is a thematic error to which i will return later. secondly, if we look at the title of the happiness boys recording, the spelling of the word flavor lets us know that the happiness boys were of american origin. 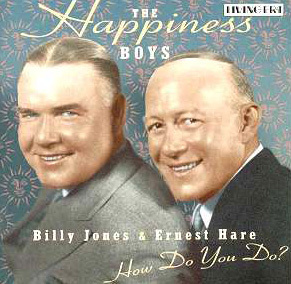 in fact they were billy jones and ernest hare who featured on an american radio programme in the 1920s of the same name, singing novelty songs, which bore titles equally as strange as the one under consideration. titles such as that's a lot of bunk and operatic syncopation. their name came from the programme's sponsors, the makers of happiness candy, yet another indication of americana. however, given that chewing gum is, in certain polite circles, regarded as somewhat anti-social in intent, the thankfully lost art of removing gum before bedtime and sticking it on the bedpost (not recommended on futons) is likely only practised by the very few. and probably not admitted to without serious interrogation. perhaps more pertinent, and currently under observation in washingmachinepost cottage, is whether digestive biscuits improve as progress is made through the packet. despite at least the top two biscuits appearing as digestive jigsaws, it is my contention that the introductory digestives tend to be particularly crunchy, with an almost trademark snap. with mcvities' current predilection for offering 50% more free, if we assume a standard rate of consumption, by the time the latter half of the packet is being chomped, the biscuits have become delightfully crumbly. granted, mrs washingmachinepost is less than impressed by the scattering of crumbs at my feet on such occasions, but you can't make an omelette without breaking eggs. the joy of munching one's way through packets of anything is greatly enhanced by an attractive and inviting flavour (or flavor, if you're reading in america), and that is no less true of those products designed to boost our energy, salt, and mineral replacement as we pedal ourselves into oblivion, keen to emulate the sort of distance one would be required to undertake were selection for the 2011 edition of milan-sanremo guaranteed. and at a speed that might ensure at least a wheel close to that finishing flurry. 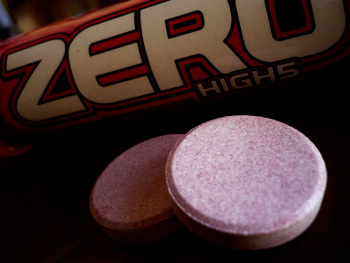 such is the hope and intent of high five's zero tabs and the curiously named energy source 4:1.
the zero tabs are so called due to their paltry calorie count; according to studies of far greater scientific veracity than anything the post could possibly muster, test subjects burned 41% more fat during exercise than a comparable product. similarly to yourselves, i must take this on trust, because there's no way any of us can verify such a claim, but with reference to the constraints against false advertising, i can't see how this could not be the truth. however, realistically, the only way these large tablets are going to have any effect on our cycling or fat burning, is if they taste good. when taking part in the london-paris ride a good few years ago now, i prepared myself well by portion controlling my carbo powder of choice at the time. this resulted in six or seven little packets of white powder sitting at the bottom of of my kit bag. aside from the likelihood of those poly bags having a hole or two poked in them by day three, explanations as to their contents at customs were ever so slightly nerve-wracking. this sort of problem is now extant, due to the twenty high five electrolyte tablets with magnesium that inhabit each tube of zero. rather than having to spoon out and spill some powder into a water bottle, one or two tablets can be plopped into whatever amount of water your taste buds desire. once dissolved, the tablets provide a more than refreshing drink that caters for salt and mineral replacement without storing perhaps unnecessary carbohydrates. however, if it's carbohydrates that you require, particularly during hard exercise, high five have the very solution (pun intended). this is completely contrary to the zero portion control, a sizeable tub of high five energy source 4:1 arriving with a convenient little scoop to empty the required amount into a half-filled water bottle. once added and shaken (with the lid on, preferably), the bottle can be topped up to the desired level. yet again, no matter the claims made for this product or the perceived benefits, if it doesn't taste good, it's a pointless exercise (yet another intended pun). the 4:1 bit refers to the composition of the powder; at one time carbohydrates were all that were thought necessary to keep the energy levels of honed athletes such as ourselves topped up to the brim. but as is often the case with continuing research on our behalf, alternative and improved solutions come to light; protein is now the thing, and boffins in white coats have determined that providing four spoonfuls of carbohydrate to one of protein (in this case whey protein) will turn mont ventoux into a mere hump-back bridge (well, not really, but hope springs eternal). the flavour, in my case, was citrus (summer fruit is also available), a very palatable flavour, though the whey protein adds a slight milky after taste. this is not in any way objectionable, though it might be to those with little affection for milk. my supply of this product was by way of a sizeable 1.6kg tub, but i am compelled to ask why the powder fills only just over half the container? the weight was pretty spot on, but i fail to understand why anyone would want to make the tub so much bigger than its contents. we must be thankful, however, that high five have a far greater degree of excellence in their mixing of beneficial potions than they have a grasp of grammatical correctness. i did say that the apostrophe would rear its ugly head once more before the end was nigh. 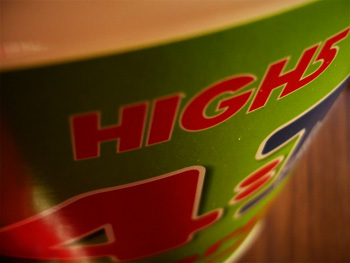 if you take a quick click across to the high five website, you will at some point, be greeted with super carb's, to which one must respond super carb's what?. since common sense would dictate that carb's is a contraction of the plural carbohydrates, then that apostrophe is not only surplus to requirements, but grammatically incorrect. helpfully, i have informed them of this. don't you just love pedantry? high five zero electrolyte tablets are sold in tubes at £6.99 each and available in neutral, citrus, berry and cherry-orange flavour. 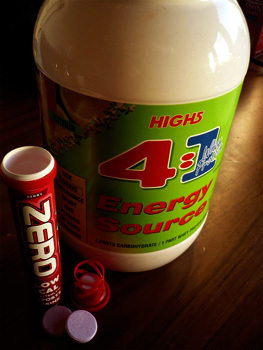 the 4:1 energy source 1.6kg tubs sell for £27.99 in either citrus or summer fruit flavours. they should be available from any bike shop worth its electrolytes (or carb's).